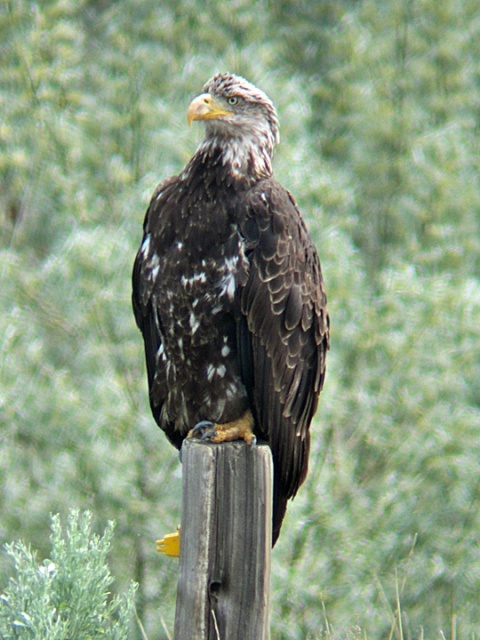 IMmature Bald Eagle beside a pond along Plank Road southeast of Toppenish, WA. May 16, 2015. Digiscoped.